As a patient, you have a right to be informed of certain facts when determining whether a particular course of medical treatment is in your best interest. Specifically, you are entitled to an explanation of any proposed medical procedure, alternative courses of treatment, and the extent of the risks involved. In legal terms, this is known as a patient’s right to informed consent. A doctor’s failure to obtain informed consent from a patient prior to performing a medical procedure may place a patient at risk of suffering serious injury or medical complications, in addition to substantial emotional trauma. Lack of informed consent may also give rise to a claim for medical malpractice. Informed consent relies heavily on subjective elements such as thought and understanding, making it a difficult issue for courts. 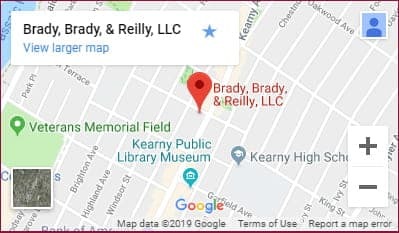 If you or someone you love was injured following medical treatment without informed consent, the attorneys of Brady, Brady & Reilly, LLC, can investigate the circumstances of your injury to determine whether you have a viable case. We are highly skilled trial lawyers and patient advocates with nearly 50 years of experience and success. We can help you get the justice and financial compensation you deserve. For a free consultation with an experienced lack of informed consent lawyer, call us at (201) 997-0030 or contact us via email. We serve clients in Newark, Jersey City, Essex County, Hudson County and throughout North Jersey. Medical malpractice cases are taken on a contingency fee basis. You pay no attorney fees unless we recover compensation for you.